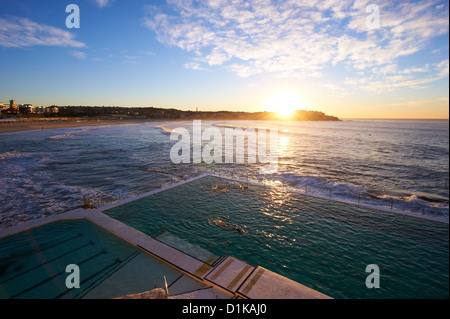 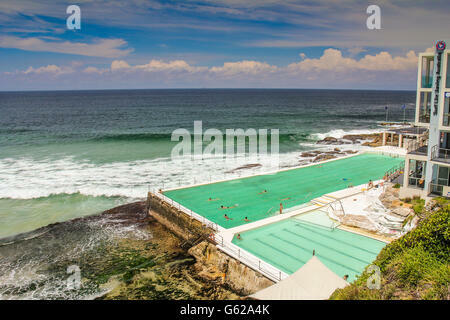 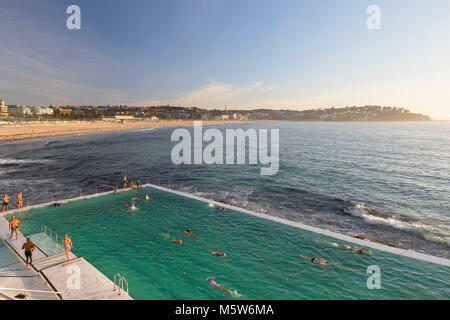 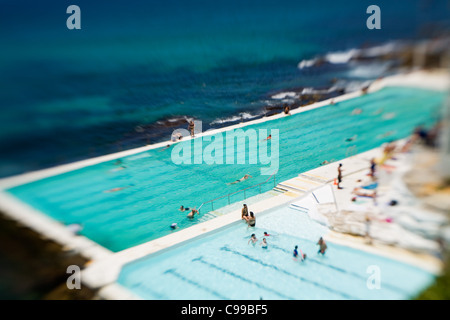 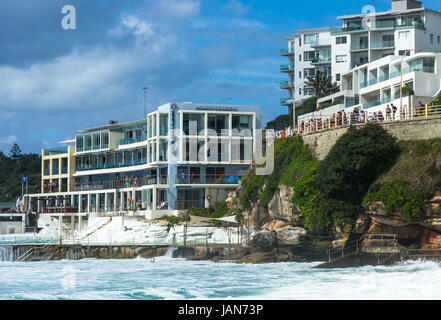 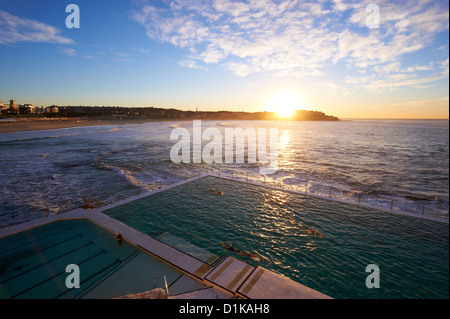 The Bondi Icebergs swimming pools are built into the rocky shoreline at the southern end of Bondi Beach Sydney. 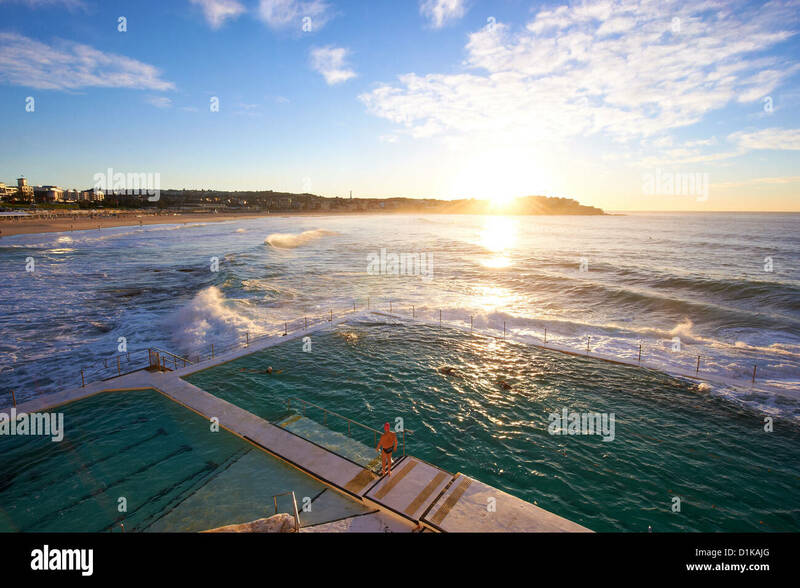 They dates back to 1929 and owe their origins to the desire of a band of dedicated local lifesavers who wished to maintain their fitness during the winter months. 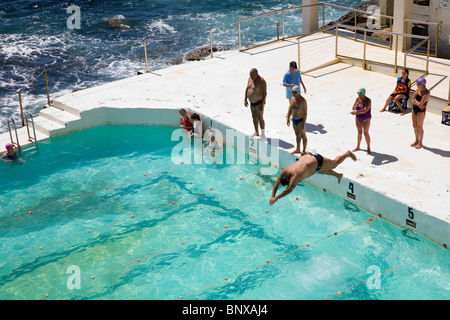 They formed the Bondi Icebergs Winter Swimming Club and drew up a constitution and elected office bearers. 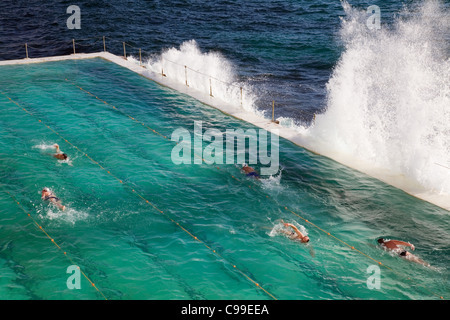 Included in the constitution was a rule that to maintain membership it was mandatory that swimmers compete on three Sundays out of four for a period of five years. 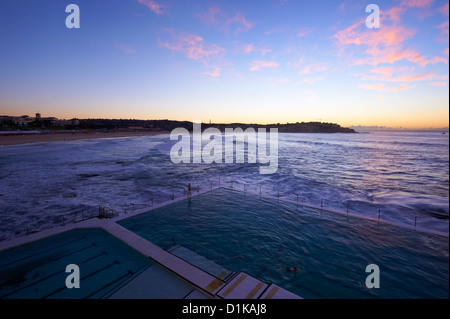 The Icebergs became licensed in 1960 and the members moved from a tin shed into comfortable premises with Bar and Poker Machines. 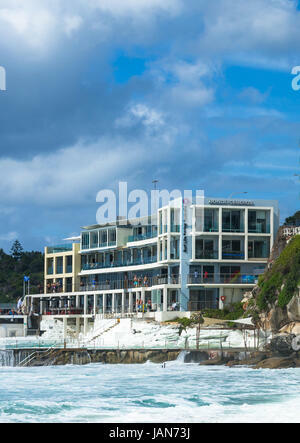 A further update took place in the 1970s enabling the Club to operate on two floors. 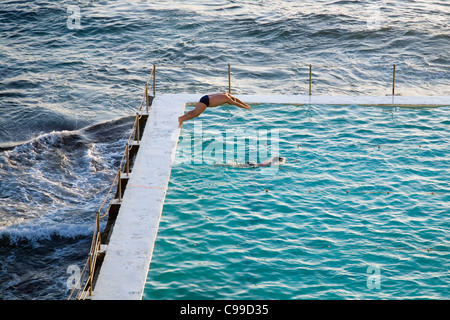 In 1994, female members were admitted and in 2002 the Club opened their new premises. 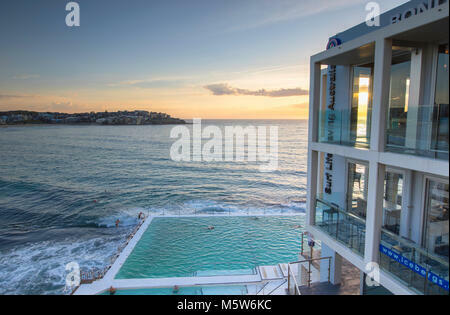 Bondi Icebergs am Bondi Beach in die östlichen Vororte, Bondi, Sydney, New South Wales, Australien.